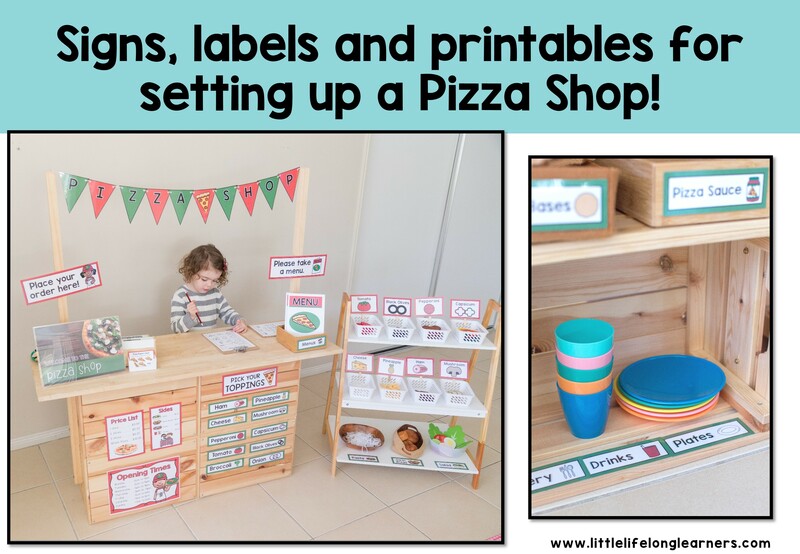 If your little learners love dramatic play, they will LOVE setting up their own pizza shop! Link literacy to their play and encourage early writing and mathematical understanding as they role play! Do your little learners love to engage in imaginative play? They will love this Pizza Shop Dramatic Play center! It includes everything you need to set up an engaging space in your dramatic play area! Imaginative Play is a great way to develop oral language skills, cooperation, content vocabulary and social skills in your early childhood classroom! 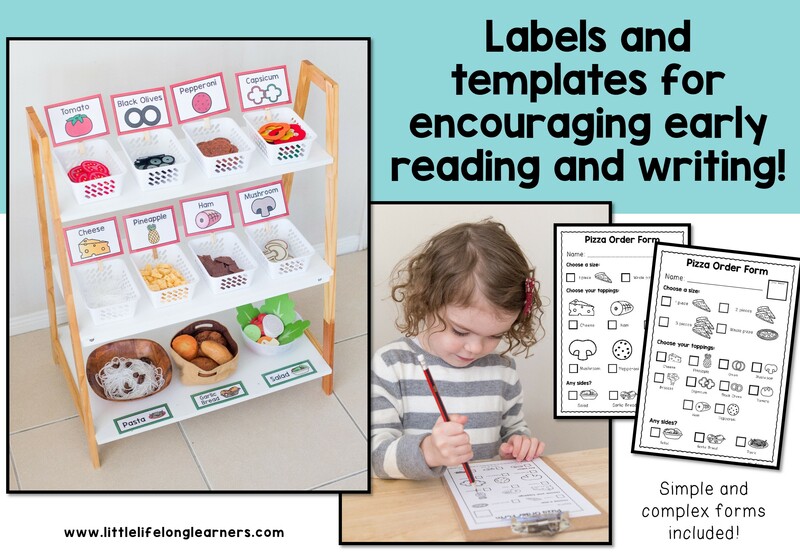 Inside this packet, you’ll find posters, labels, printable fill-in order forms and more! 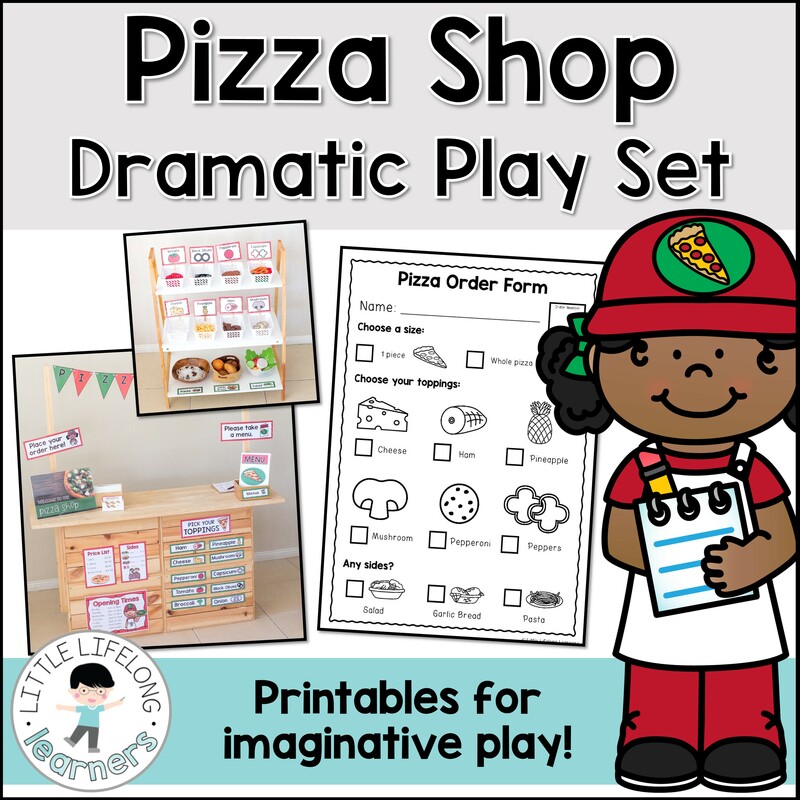 Your little learners will develop early reading and writing skills as they play in the Pizza Shop! 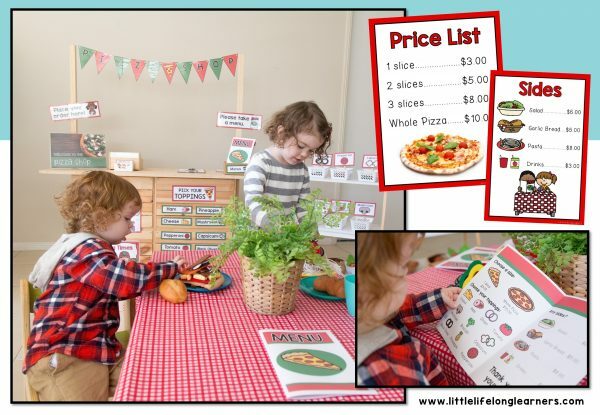 They will begin to recognise familiar words such as the different toppings and pizza specific vocabulary as they become familiar with the labels. 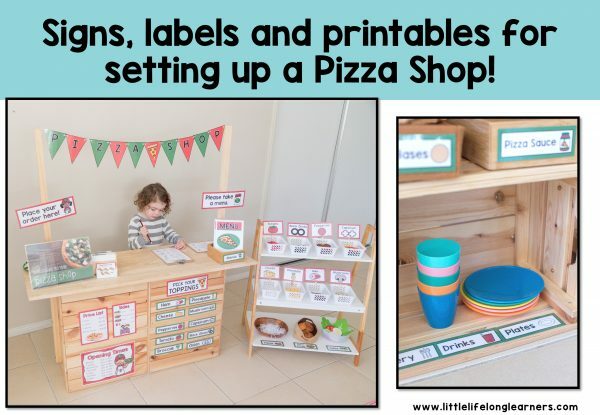 Collect unused pizza boxes from your local pizza shop for your little learners to use in their play! 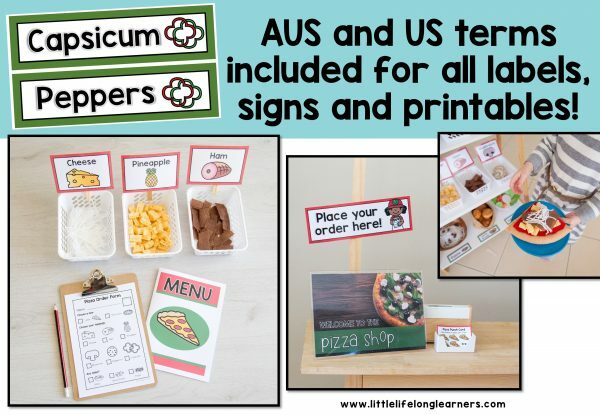 You may even like to have your little learners help to create pizza bases from cardboard and toppings with materials and supplies from your art cupboard! 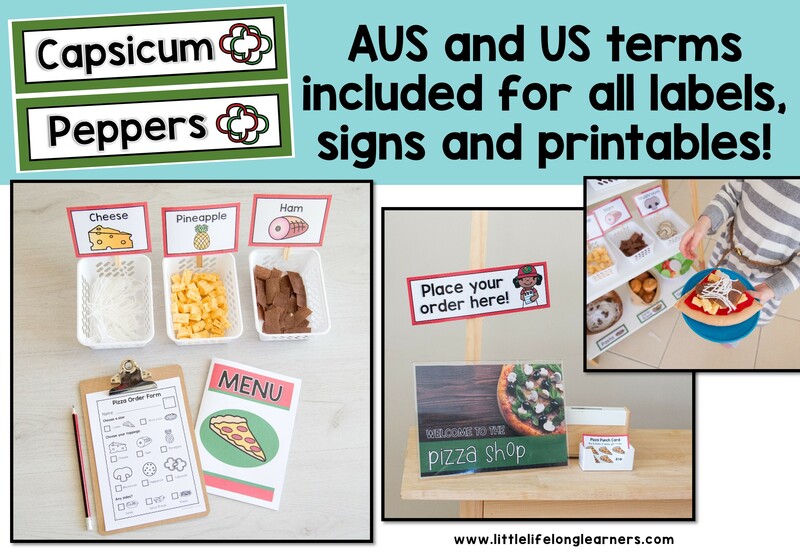 Please note, you will find the word Capsicum and Peppers included throughout the packet to suit the vocabulary of your own little learners (based on whether they are Australian or American).